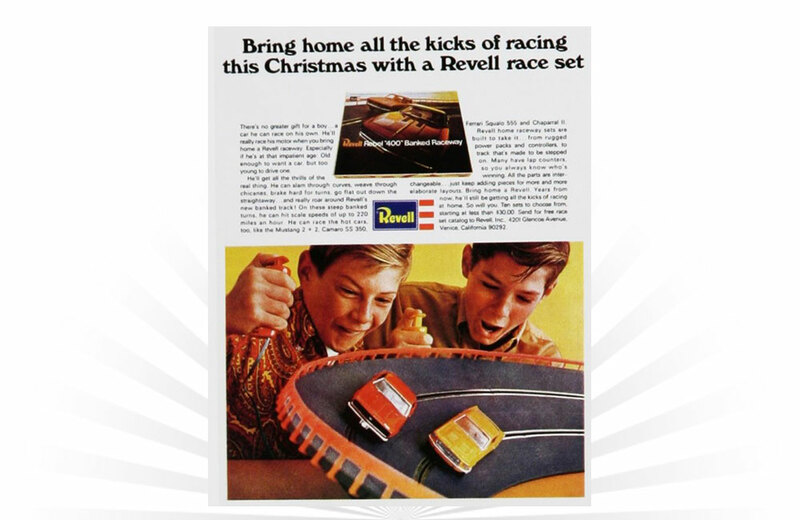 A vintage ad from 1967 for the Rebel “400” Banked Raceway from Revell, one of ten sets to choose from for the holiday season. The set featured popular cars of the day, including the Mustang 2+2, Camaro SS 350, Ferrari Squaio 555, and Chaparral II. This game goes back to the 1940s when it was known as Yatzie. Enjoy this classic commercial! Milton Bradley launched Simon in 1978 at the infamous Studio 54 in New York City.